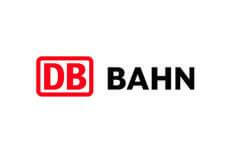 Deutsche Bahn Group: International provider of mobility and logistics services, operating in over 130 countries and with more than 300,000 employees worldwide. A big, wide world! The DB Group’s YouTube channel provides insights into the complex subject areas surrounding travelling by train and the Deutsche Bahn. For this purpose, we continuously produce varied and informative video content to help people understand the big world of the Deutsche Bahn – a look behind the scenes. Because videos are the perfect information carrier when it comes to presenting complex facts or processes of a large corporation in an understandable way. That’s why we are all the more proud to be able to continue to focus on the YouTube presence of the Deutsche Bahn Group. Initially, the videos on the YouTube channel of the Deutsche Bahn Group were analyzed and assigned to various subject areas – from innovation, employer branding and CSR to cooperation – and provided with a very personal distribution strategy that was tailored to the subject area and content. According to the target group briefing, our focus was now on a comprehensive web analysis – to define where the target group is on the web and which social media and PR media are the right target channels, including Facebook, Twitter, Google+, as well as travel blogs and communities. We then weighted and developed a cross-media campaign. Influencer cannot be left out in any communication action plan. There are experts on the net for every topic and product, who are very well versed in the respective topic and have an appropriate fan base. A fan base that listens and trusts. The influencers selected according to the target group analysis reported on their experiences with Deutsche Bahn and thus provided additional buzz on the web – for example with the travel challenge “Unser abgefahrener Sommer”, in which the two travel and fashion bloggers Patrizia Palme and Der Hardi travel across the country for DB and get to know the people behind the group. Or the unique acoustic performances” trainsome sessions”, which took place at various stations throughout Germany. Its success is the proof of the concept: The reach of the influencers alone, who posted videos from the DB Group, results in a gross reach of 20 million page views. The right choice of topics and a target-oriented approach in the social web attracted a lot of attention. This not only convinced the users, but also gave them top placements in news portals such as FOCUS, SPIEGEL or STERN and in the editorial formats of ARD, ZDF and RTL. The bundling of measures and an additional video SEO enabled the channel to grow strongly in reach and subscriber numbers. Bottom line, what does that mean? 3. Our detailed monitoring provides Deutsche Bahn Group with important insights into the individual videos and enables us to draw conclusions as to which contents work on the Internet. This in turn helps the company to plan and design further video content. Win Win!